Contact Park City, we can resolve your staff welfare issues with minimum disruption to your business. 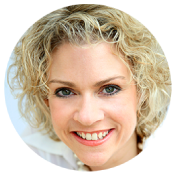 Morale fuses employees’ attitudes and behaviours based on satisfaction with their job, their environment, those they are working with (particularly their management), and the company they are working for. There are two types of morale: High and Low. 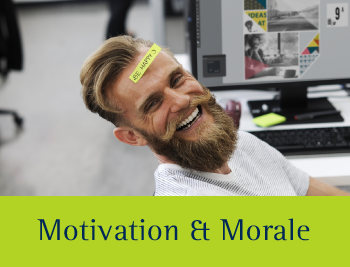 High morale refers to an employee’s deep satisfaction within their role and feels a sense of achievement, leading them to increase productivity, and have higher motivation. Morale also affects a group of workers. Low morale causes greater grievances and conflicts, a higher employee turnover and poor working conditions. It is the employer’s duty to encourage and work on their staff’s attitudes and behaviours, therefore heightening motivation. This starts with the manager themselves. Park City provides staff satisfaction surveys, which can be bespoke to your employees and analyse their responses. 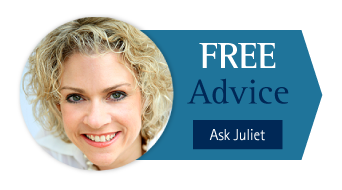 We will then offer advice on how to improve the employee’s motivation and morale. This can prevent the need for a disciplinary should the employee’s attitude becomes worse. Park City also provides a training course called ‘Motivating without Money’, to allow employees to become engaged within their company, to perform better and therefore increase productivity. 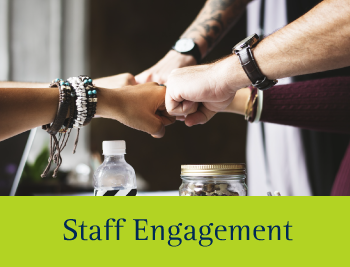 Looking to improve your business's culture and staff engagement?